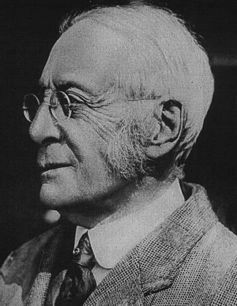 Former Harvard president Charles Eliot spouted a ‘kids these days…’ refrain that’s been repeated throughout history. The emoticon – a colon followed by a parenthesis – is a visual representation of a smiley face turned sideways. Although an emoticon may look like a smile, a frown or any number of facial expressions, it doesn’t represent a face, as many internet users assume. It’s actually intended to convey a feeling (“I’m happy,” or “just joking”). 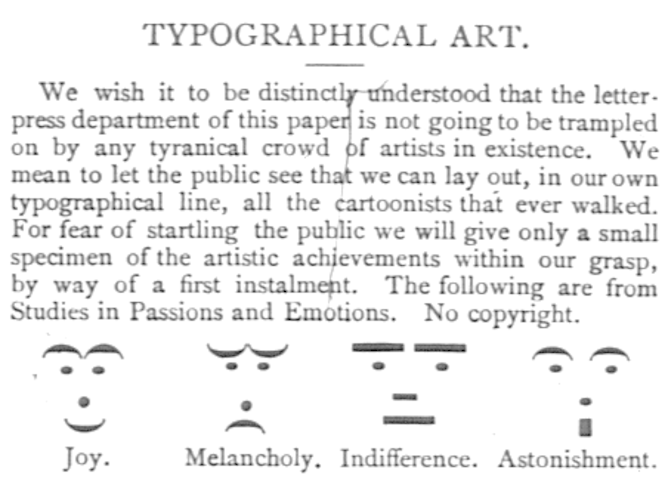 This meaning is evident even in the first emoticon, credited to Scott Fahlman at Carnegie Mellon University. In a 1982 e-mail, Fahlman suggested as a “joke marker” to indicate wisecracks or sarcasm in text communication. In this legendary e-mail, he also used the first instance of the frown emoticon :-(. Have you ever seen someone fix a typo in a message with an asteriks? 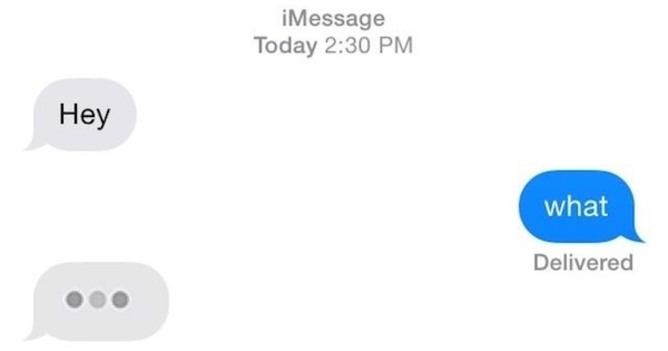 Ellipses are used by the iPhone text messaging interface to show that someone is typing. These two aren’t the only punctuation that can stand on their own as a message. In my 2012 study of World of Warcraft players, I found that in this community, and others, the carat (^) can stand alone as an entire message that indicates agreement with another person. Meanwhile, an arrow-shaped symbol (<–) signaled volunteering for a task, like raising a hand in the classroom.